Are you looking shopping for affordable mobile broadband? If so, Sprint and T-Mobile are out as they only offer unlimited data plans now that aren't budget-friendly. But, no fear - there is an older AT&T wireless plan with limited data may be an option for customers on a budget. Though they can be hard to find as AT&T's main wireless landing page only lists data plans with two unlimited-data options. These are $60 and $90 monthly plans. These two are tailored to consumers who don't want a data cap and aren't so budget conscience. The $45 Monthly Plan from AT&T Wireless starts at $45 for 6GB of data. Actually, it's only $40 a month (!) 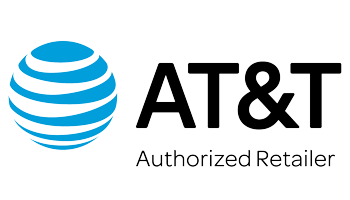 if you enroll in the AT&T auto-pay plan. This plan features the old ""Rollover Data"" feature and where unused data carries over to the next month (but can only be used for the next 30 days). Did we mention there's unlimited calling in texting in the U.S., Canada and Mexico? WHERE CAN I FIND THIS GEM OF A PLAN? No other comparison sites offer this plan at this time, but fortunately we have it here. Just head on over to the BroadbandSearch AT&T Mobility Deals page.